With the possible exception of watermelon, strawberries pretty much epitomize lazy, warm summer days. If you love them as much as I do but space is at a premium, growing strawberries in containers couldn’t be easier. What are the Best Pots for Growing Strawberries in Containers? Strawberries, in general, are fairly easy to grow and there’s nothing like a fresh berry plucked off your own plant. The best pots for strawberries are those which are urn shaped, punctuated with holes down the sides in variable areas. Even though the holes make the pot look like dirt, water or even the plant may fall out of them, these pots are perfect for growing strawberries in containers. 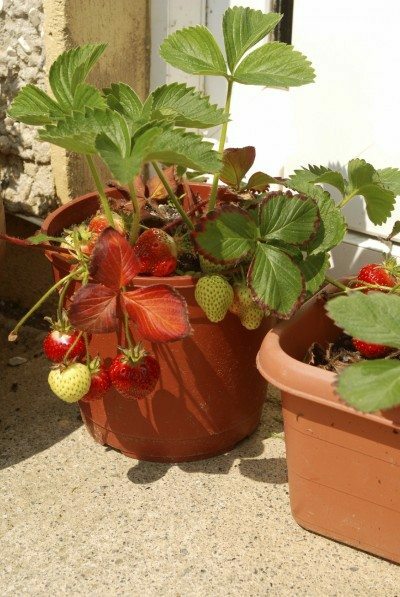 Strawberries do particularly well in these types of pots since they are small plants with shallow root structures. Additionally, since the fruit does not touch the soil, the reduction of bacterial and fungal disease is greatly reduced. Also, the pots can be easily covered with sawdust, straw or other compost to over winter them or even easily moved into a sheltered area or garage. Strawberry pots are made from clay pottery, ceramic pottery, plastic and sometimes even wood. Plastic has the benefit of being lightweight, but their very benefit can be their Achilles heel. Plastic pots may blow over. Clay pots that are not sprayed with a waterproofing agent tend to break down after a year or two and will also require more vigilant watering. Ceramic pots that have been coated will indeed last, but tend to be quite heavy. Any of these for growing strawberries in containers will work, just be mindful of their downsides. Make sure the pot will hold several plants and has adequate drainage. Strawberries also grow well in hanging baskets. 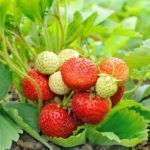 Everbearing strawberries, such as Ozark Beauty, Tillicum or Quinalult, are good choices for container gardening strawberries. Now that we have our pot, the question is how to grow strawberries in containers. 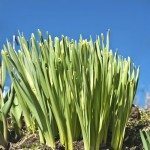 You will need one plant per side opening and three or four for the top (for ordinary containers, just three or four plants will do). Cover the drainage holes loosely with terra cotta shards or a screen to slow drainage and fill the bottom of the pot with pre-fertilized, soilless media amended with compost or a slow release fertilizer like 10-10-10. Continue to fill in the container as you plug each hole with a berry plant, lightly patting the plant into the soil as you fill. Strawberry plants in pots need to be kept watered. Insert a paper towel tube filled with gravel down the center of the pot and fill in around it as you plant, or use a pipe with holes randomly drilled through to aid in water retention. This will allow water to seep throughout the strawberry pot and avoid overwatering the top plants. The additional weight may also keep plastic pots from blowing over. Finish off your strawberry container with the three to four plants. Water it thoroughly and set the pot in full sun to part shade. Strawberries do best in temps from 70-85 F. (21-29 C.), so depending upon your region, they may need more shade and/or water. A light colored pot will also aid in keeping roots cool. Too much shade can result in healthy foliage but few or sour fruit. Add sphagnum moss or newsprint around the base of the plants to keep the soil from washing out.